‘Many entrepreneurs are dealing with substandard transportation and communications infrastructure and there are inflated input costs in areas such as rents, banking, energy, telecoms, insurance and legal fees’. Peadar Tóibín TD, Sinn Féin’s spokesman on Enterprise has outlined the manner in which Sinn Féin’s pre-budget submission would suit the needs of Irish Entrepreneurs. “Sinn Féin launched a range of targeted measures tailored to suit the needs of struggling Irish Entrepreneurs. Despite the emergence of some cyclical growth within the economy, many Irish entrepreneurs are still struggling to make ends meets. They are dealing with substandard transportation and communications infrastructure and there are inflated input costs in areas such as rents, banking, energy, telecoms, insurance and legal fees. “We in Sinn Féin believe that if you work hard, invest and take risks you deserve to be compensated. We have as a result proposed a number of key measures which when implemented impact positively on small to medium sized entrepreneurs. “First off we intend to introduce a bit of equality for the self-employed. We wish to alleviate some of their tax burden through a tax credit on earned income similar to that available to PAYE workers at €500. “Sinn Féin would ensure employers are not penalised by an increasing minimum wage by increasing the Employer PRSI rate of 8.5% up to €377. “We will differentiate between passive and active investments when it comes to Capital Gains Tax to ensure that Entrepreneurs who invest in their businesses reap the benefits. “We aim to extend Start Up Relief for Entrepreneurs to the self-employed to have not previously paid PAYE. We believe that all tax payers should be able to avail of the scheme. “In recent times there has been a radical reorientation of people’s spending patterns from the shop to online purchasing with a massive 75% of this business is going abroad. We will double the current trading on line voucher scheme to keep more of that business at home. “Sinn Féin will speed up the administration of the tax system for Business to resolve the excessive turnaround time on these registrations. These delays are impacting businesses and preventing economic activity and the creation of jobs from taking place. 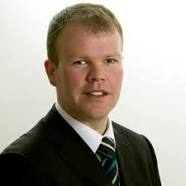 “Sinn Féin seeks to improve Access to Public Procurement Contracts for SMEs. The government has to be more ambitious for the economic and social return of the €12bn annual public spend on goods, services and capital projects. We will set up key performance indicators for micro, small and medium size enterprise participation for all public procurers and a monitoring mechanism ensuring these performance indicators are met. “We will reduce the size of tenders to make them accessible to the relevant enterprise size. We will also measure the cost benefit to the regions of this government’s centralisation of tenders from Local Authorities to Dublin. “Sinn Féin want to see an efficient and competitive infrastructure. We will enhance the Capital Investment Programme to the tune of €400m. This stimulus which is over and above current government investment and would in the term of a government, add up to €2billion which will be focused on housing, roads and broadband provision. 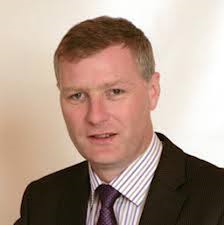 Previous PostParents paying out nearly €17,000 yearly for childcare – Fianna FailNext PostBudget “clear attempt to hoodwink the Irish people’ says Sinn Fein Sligo – Leitrim general election candidate, Martin Kenny.